The 2017 Pantone Color of the Year is Greenery and we couldn’t be more excited about it! As a life affirming shade that is symbolic of new beginnings, it’s the perfect color to use on your wedding day. 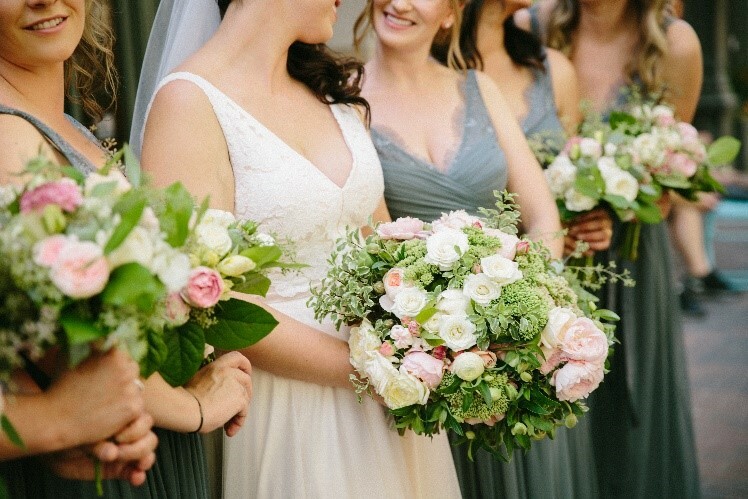 Rebecca Dashow, our own Herban Bloom and Herban Design Studio expert, shares her advice with couples who are interested in integrating Greenery into their big day. What is your advice to couples on choosing a color scheme? Pinterest is a great tool for wedding planning! It is super easy to enter your color ideas and let Pinterest give you a pretty color palette. I also like Instagram. By looking at the local florist’s feed, planners, even caterers you can get an idea of different color palettes. The Pantone color of the year is Greenery. What do you like best about this color in terms of styling an event? I think that Greenery goes with virtually every color palette- your whites, creams, blush, lavender, navy, peach, fuchsia, black. You name it you can’t go wrong having greenery either be the main color or a secondary color choice. 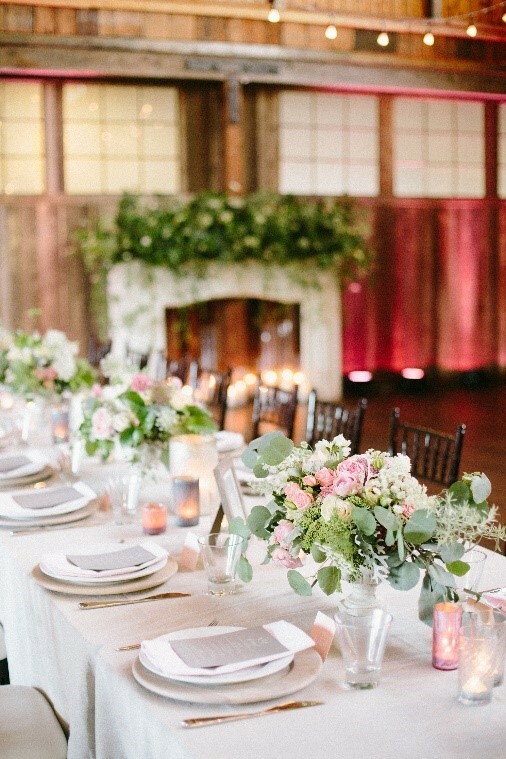 It seems like there are so many ways to incorporate Greenery into any event. What’s a good place to start? I think your ceremony arch or chuppah. There are so many ideas out there for showing the greenery front and center, which allows guests can quickly connect with theme of the wedding. What other style trends can we expect to see in 2017 that will complement the use of this year’s color? Is there such a thing as too much with this color? I would integrate the greenery idea on focal areas. For example, the arch and maybe long garlands running down farm tables for your reception. Everything else should have elements of these main pieces but add in floral. You don’t want your big day to look like a jungle. Will you choose greenery for your event this year? For more trends, tips and updates, connect with us on Facebook, Twitter, Instagram, and Pinterest.